This Army Green NATO watch strap is made from nylon with stitching around the buckle and keepers. 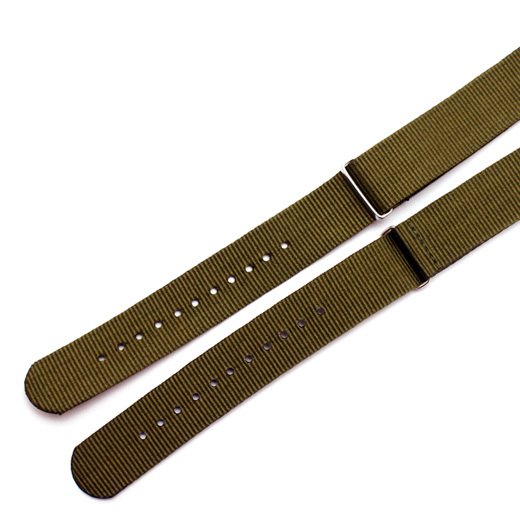 From the Diloy Fashion Range it is quite short and thin compare to the other NATO straps we stock, has a comfortable feel and, unlike most low cost NATO watch straps, it has a removable buckle. 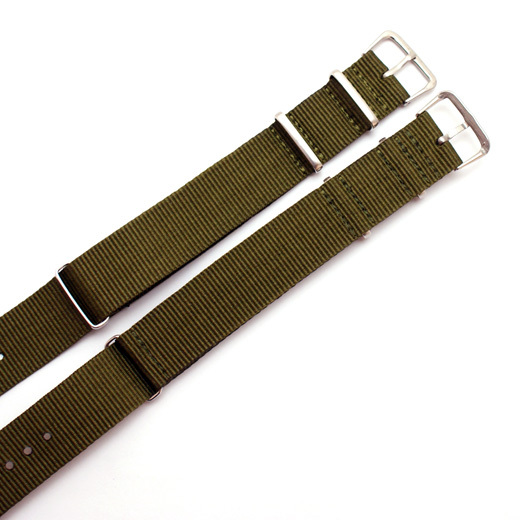 Regular length (but quite short compare to our other nato straps): 245mm excluding the buckle. There are 11 holes starting 25mm from the end and spaced every 5mm. Space between second and third rings 80mm. 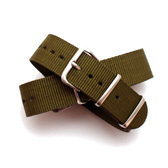 Please note: nylon can stretch and also shrink so all measurements are +/- 5mm for length and +/- 1mm for width.